SOS Children’s Village Rutana was built with the aim of taking care of orphans from the region and its surrounding areas. 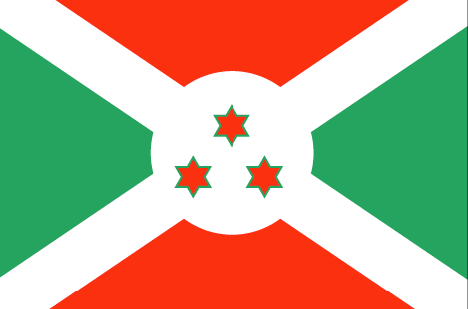 The five provinces in southern Burundi that are on the border with Tanzania (Rutana, Ruyigi, Cankuzo, Makamba and Bururi) have large numbers of orphans and there is a sense of social instability. There was therefore an urgent need for long-term action to take care of orphans and abandoned children. SOS Children’s Villages Rutana is situated in the inner suburbs of the town of the same name. It has 14 family houses which can take in around 170 children, a village director’s house, a house for the SOS aunts (who are future SOS mothers in training and also provide valuable support for each of the SOS mothers working there), administrative buildings and workshops for practical work. The village also currently has an SOS Kindergarten, an SOS Herman Gmeiner Primary School, an SOS Social Centre and an SOS Medical Centre. The SOS Kindergarten, which is also open to children from the neighbourhood, was opened one month before the village. It has three rooms, an office for the director, an administrative block, a kitchen and several adjoining rooms and can take in around 75 children. To complete the village, an SOS Herman Gmeiner Primary School opened at the same time as the SOS Kindergarten, in September 2005. It gives 210 children from the village and the neighbouring areas the opportunity to attend lessons in its six classrooms. In addition to its administrative block, it has a small library and a playground where the children can spend their break. An SOS Social Centre, open since January 2004, and an SOS Medical Centre, which has been open since construction work on the village was completed, aim to support people who have been infected with the HIV virus and their families (their children in particular). The SOS Medical Centre can treat up to 1,000 patients a month and the SOS Social Centre can take care of 100 children from troubled families. They raise awareness of the HIV virus among the people from neighbouring areas. They also provide people and families affected by the virus with food and medication as well as giving them medical and financial benefits (such as scholarships for children and one-off donations).